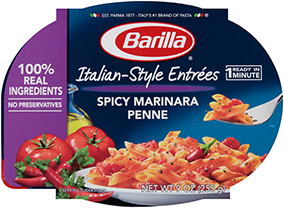 Is the Barilla® Pronto® pasta natural and non-GMO? The wheat Barilla uses to make Barilla® Pronto® is the same wheat we use in many our other pasta products. It is made with non-GMO ingredients and is Non-GMO Project Verified. We do add vitamins/minerals to our pasta to meet enrichment standards.